The good folks at DTS when ahead and booked me on a 13.5 hr layover after flying San Diego to Tokyo transiting across NRT to HND to catch a flight to OKA. Bad news since my loyalty and elite status belong with United, ANA and the star alliance. So this means I get to become a humble, one flight a year, no elite status normie. I even called both American Airlines and JAL hoping to upgrade with miles or even money, but the code share class V flight is unforgivable. So I was bummed, but I stumbled upon this program called the Okinawa Island Pass. I can’t seem to book with it, but it appears any foreigner is allowed to fly within the Okinawa islands for 9000 yen a segment. Does any one know any more information about this? 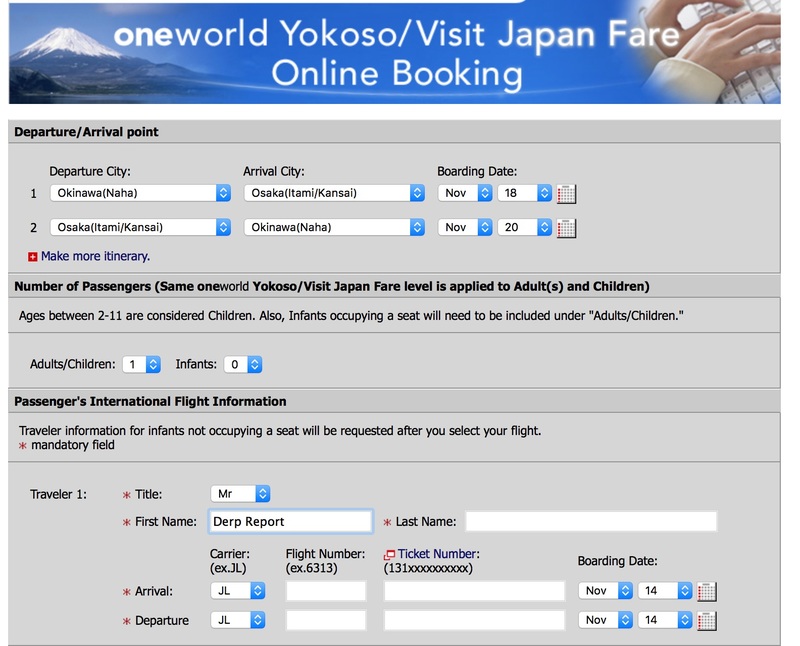 I did figure out the JAL explore japan fare here, but requires a VPN to make it look like your out of Japan.